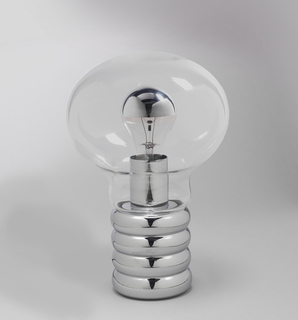 See more objects with the tag container, lighting, graphic design, advertising, manufacturers, numbers, product promotion, packaging, consumers, lightbulb, logos. See more objects with the color wheat silver or see all the colors for this object. This is a Print. 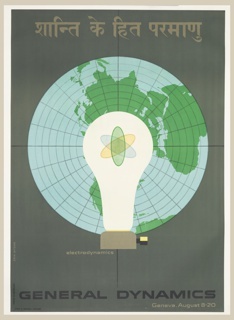 It was graphic design by Paul Rand and made for (as the client) Westinghouse. It is dated ca. 1968 and we acquired it in 2002. Its medium is offset lithograph on white cardboard. It is a part of the Drawings, Prints, and Graphic Design department. Paul Rand was a leading twentieth-century modernist graphic designer whose six-decade career left a lasting impact on graphic design, branding, and commercial art. Though sometimes whimsical, Rand’s ultimate focus was clarity in design. After revamping IBM's logo and corporate identity in the 1950s, he was asked to do the same for Westinghouse Electric Company. His first task was to redesign the company's visually outdated turn-of-the-century logo; his 1960 "W" trade mark, seen right center of this flat packaging, is still in use today. Aware of the importance of brand recognition, he retained the circle and underscore from earlier iterations, preferring to revamp rather than completely redesign a logo. Rand’s version is suggestive of a circuit board, connecting the logo's form to the company’s purpose. A year later he developed the Westinghouse Gothic typeface to be used on signs, packaging, advertising, and other corporate ephemera. 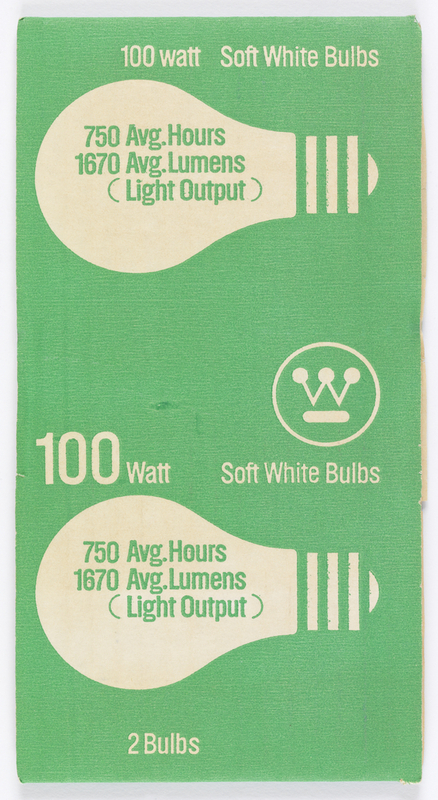 In 1968, upon the success of his logo and other design consultancy work for Westinghouse, Rand redesigned the Lamp Division's packaging. 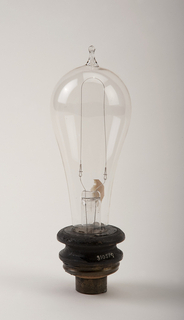 He eliminated unnecessary graphics, using a light bulb to make the package’s contents apparent, and enlarged the type size that relayed the bulb wattage and hours, previously nearly illegible.